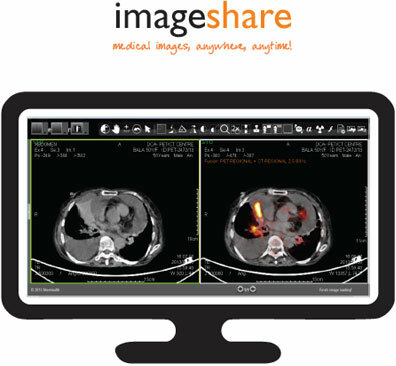 ImageShare is a completely cloud based imaging application which can fulfill the roles of radiologists, clinicians and physicians at the same time. The enterprise level architecture of ImageShare makes it an imaging application to be used across different branches of medical for a comprehensive imaging application. ImageShare helps connect doctors and radically improves performance. Experience teleradiology like never before. ImageShare gives you one stop solution for you and your imaging centers and hospitals wherein the workflow is very smooth and the radiologist can just concentrate on the reporting. And ImageShare gives you many more modalities to view and report than an conventional teleradiology software. ImageShare has the advanced capabilities of being used as an additional workstation for PET CT. This helps the radiologist to give faster and anytime consultation as may be required. ImageShare has an additional module for patients so that they can use the services to archive and share their studies with doctors and consultants of their choice. Patients will have control of their records which will help them in long term care and also reduce costly repetitive scans. ImageShare is an cloud based application not only for radiologists but complete healthcare domain including patients so that patients can make informed decisions in lesser time!